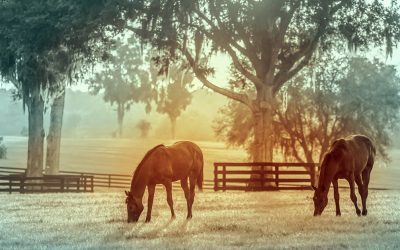 At the beginning of this year, the Certified Horsemanship Association (CHA) announced their involvement with The Right Horse Initiative. 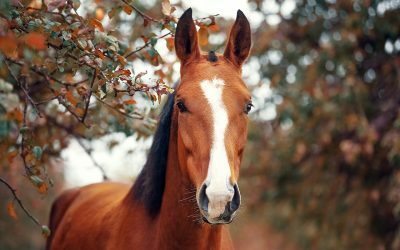 This program allows CHA riding instructors in Region 9—Colorado, Wyoming, Kansas, Missouri, and Nebraska—to adopt horses that need new homes for use in their riding lesson programs and/or camp programs. CHA leadership recognized the merits of this program to help the horse industry give a new career to horses in transition. It also helps meet one of the biggest needs of riding instructors—where to get quality mounts for their lesson programs. This pilot program is possible thanks to a grant given to CHA from the Watershed Animal Fund, which funds The Right Horse Initiative. This grant helps with transportation costs for the horses as they are transitioned to their new homes. CHA is working closely with Harmony Equine Center in Franktown, CO, which serves as a transition center for the horses. Transition centers are organizations and facilities that provide a range of services, including intake, boarding, medical care, and training for the horses that are in transition. Another transition center that has partnered with CHA is Colorado State University (CSU). CSU receives the horses from Harmony Equine Center. Then the CSU students start working with the horses to retrain them for new careers. Once they have completed their training, they are placed up for adoption to CHA members. The program kicked off in January 2018, and the first horses to graduate from CSU training moved to their new homes after the spring semester. Pecos was adopted by Andrea Linzmeyer, a CHA Certified Instructor and Equine Facilities Manager who is the Equine Manager at the Urban Farm in Denver, CO. The 12-year-old Paint gelding will eventually be used as a walk/trot/canter horse in lessons. Emmalee Anne Gale, another CHA Certified Instructor who works at the Urban Farm as the Equine Assistant, adopted Gretta. Gretta is a 15-year-old Quarter Horse and Arabian cross mare. The mare settled right in with all of the cows and goats and other animals at the Urban Farm, and she isn’t even phased by the nearby passing trains, said Gale. Gale said Gretta lacked information about her past history, so she was restarted at CSU by the student that trained her. Gale, who wanted a greener horse, is continuing Gretta’s training for her intermediate to advanced riders. A third horse was adopted by CHA Certified Instructor Jessie Butler of Fort Collins, CO. 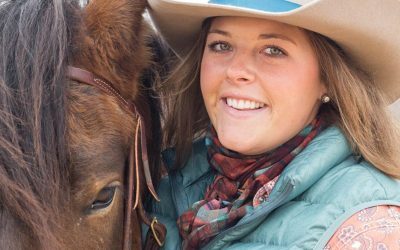 Currently, Butler, who is also certified by PATH Intl., is the Program Manager at Front Range Exceptional Equestrians and is a therapeutic riding instructor at Hearts and Horses in Loveland, CO. In addition, she has her own lesson program. Otter, previously named Hunter, is a 16-year-old grade mare. Otter settled beautifully into her new home, said Butler. After settling in, Butler introduced her to her students, and she has already become a student favorite in her lesson program. “Otter came into my program with a great wealth of knowledge,” said Butler about the training the mare received at CSU. Butler is working on expanding Otter’s knowledge with English riding and with crossrails. “She is learning quickly and is already a superstar for my riders doing trot pole courses,” she added. Now that August is here, 12 more horses will be available for adoption in Region 9. CSU’s summer semester students have been busy working with these horses. After the fall semester ends in December of this year, then the third batch of horses will be available.